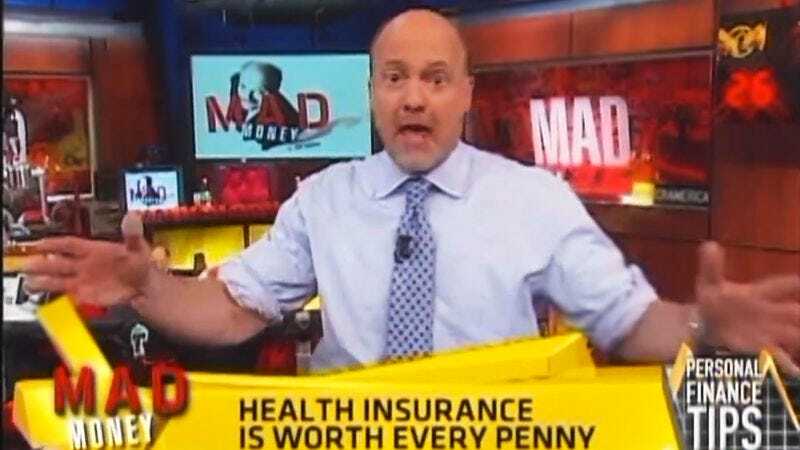 NEW YORK—According to a report released this week by Forbes magazine, every person who has regularly watched CNBC’s financial program Mad Money since its 2005 premiere is now a multibillionaire. “[Host] Jim Cramer turned out to be 100 percent accurate with every stock he said to buy, sell, or hold; I started out by investing $600, and now I have a net worth of $4.1 billion,” said former dishwasher Paul Welling from the plush 100-seat TV room aboard his custom luxury yacht. “All I had to do was follow Jim’s investment instructions and then sit back as the millions upon millions rolled in every day for the past eight years. And actually, I myself watched no more than three times weekly, and today I own a media conglomerate.” The findings reportedly came as welcome news for the cable channel following recent reports that over half the regular viewers of the morning show Squawk Box had died of exposure after winding up penniless and destitute on the street.